ANKARA, 21 May 2010: Prime Minister of Turkey, Recep Tayyip Erdogan on Thursday evening (20th May 2010) telephoned the Prime Minister of Pakistan Syed Yusuf Raza Gilani in order to take him into confidence over the 17 May Joint Declaration of Iran, Turkey and Brazil. Erdogan apprised Gilani that he had earlier on also spoken to US President Obama and Russian Prime Minister Putin on this subject. The Pakistani Prime Minister commended his Turkish counterpart’s statesmanship and crucial role in adoption of the joint declaration and arranging for the agreement on Iran’s nuclear fuel exchange. He expressed the hope that this agreement would pave the way for a negotiated resolution of the controversy surrounding Iran’s nuclear program. Gilani stated that Pakistan had consistently advocated for a peaceful resolution of Iran’s nuclear issue by recognizing Iran’s right to use nuclear technology for peaceful purposes while adhering to its NPT obligations. The question of recognition of Kosovo also came under discussion during the telephonic conversation between the two leaders. 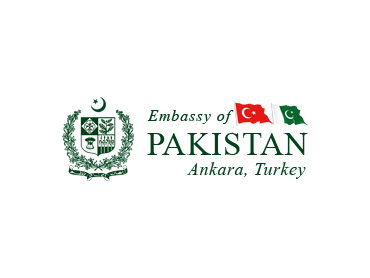 The Prime Minister informed the Turkish leader that Pakistan was keenly observing the current situation. He noted that the UN General Assembly through a resolution had sought the advisory opinion of the International Court of Justice on Kosovo’s Unilateral Declaration of Independence (UDI) and ICJ’s opinion was due in July or August, this year. Pakistan hence would keep this issue under review and wait for ICJ’s opinion before taking any decision. Both the Prime Ministers expressed satisfaction over the exemplary relationship and the ongoing multifaceted bilateral cooperation between both countries. They agreed to further strengthen the existing ties through concerted/sustained efforts and enhanced bilateral interaction at all levels.